Step 1 Put lentils in a small saucepan of boiling water and cook 4-5 minutes, or until just cooked. Drain and leave to cool, about 10 minutes. Step 2 Meanwhile, preheat oven to 180C (350F/Gas 4). Lightly grease a 12-hole standard muffin tin with oil. Step 3 Whisk together milk, ricotta, eggs and tomato paste in a large bowl. Stir in lentils, spring onions, parmesan, parsley and chives. Sift wholemeal and white flour over mixture, adding the husks from the sifter. Stir until combined. Step 4 Spoon mixture into prepared muffin tin and bake 25 minutes, or until golden and cooked through. Serve warm. Don't overcook the lentils. They should still hold their shape when cooked. You'll need about 4 spring onions to obtain 1/2 cup finely chopped spring onions. 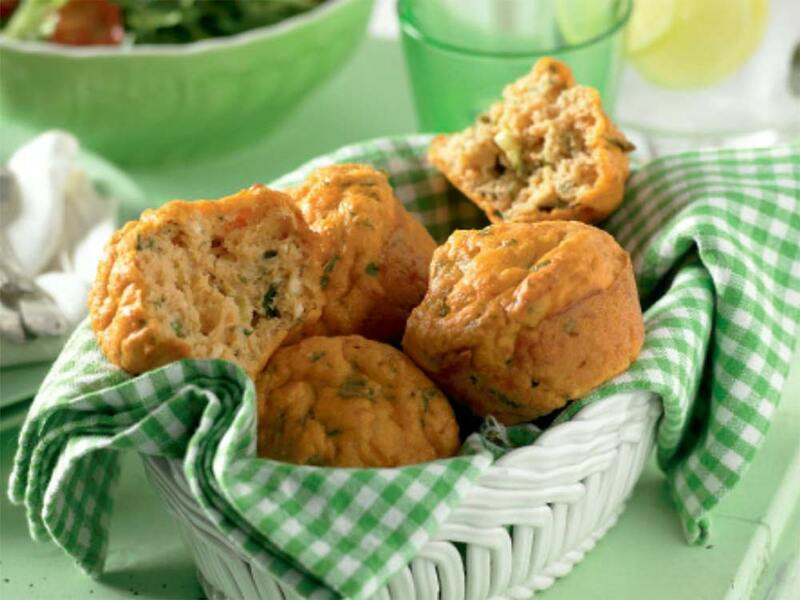 The combination of lentils, ricotta and tomato paste make these muffins a high-protein and very nutritious snack. Bon appetit!